It is the late fourteenth century, a dangerous time beset by war and plague. Nicholas Barber, a young and wayward cleric, stumbles across a group of travelling players and compounds his sins by joining them. Yet the town where they perform reveals another drama: a young woman is to be hanged for the murder of a twelve-year-old boy. What better way to increase their takings than to make a new play, to enact the murder of Thomas Wells? But as the actors rehearse, they discover that the truth about the boy's death has yet to be revealed. 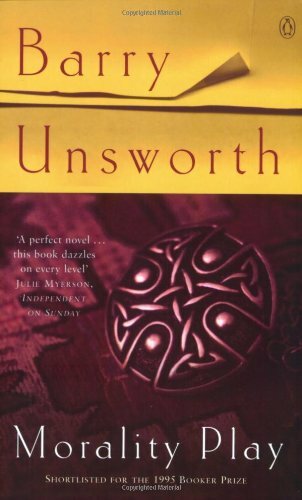 Barry Unsworth, author of the Booker Prize-winnings Sacred Hunger, turns to 14th-century England with a novel of foul doings in the time of The Name of the Rose. 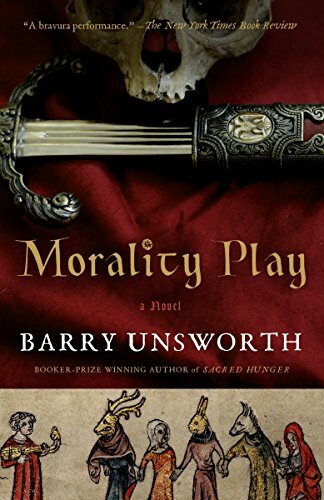 In Morality Play, Barry Unsworth, indisputably the finest writer of literate historical fiction alive today, brings 14th-century England to vibrant life, transporting us back to this "distant mirror" to show us a world that, beneath its medieval trappings, is full of the same corruption and moral dilemmas that we face today. 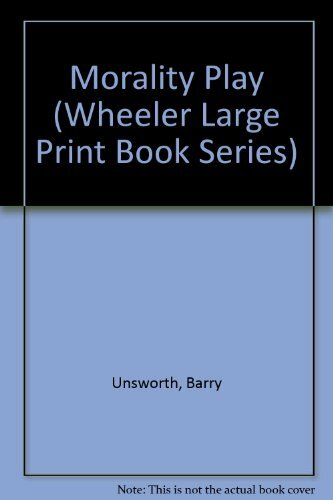 Nicholas Barber is a 23-year-old monk who, fearing the wrath of his bishop for breaking his vows of chastity, takes up with a troupe of traveling players. 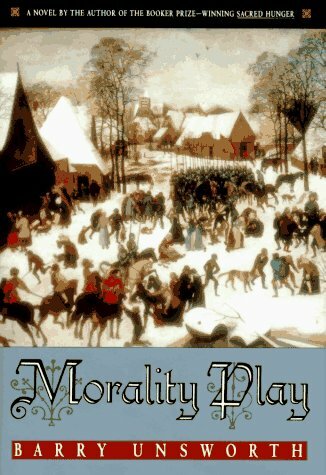 Coming to a small town in the middle of winter, the troupe puts on its usual morality play, only to get caught up in a drama of a different kind. A murder has taken place and a mute-and-deaf girl stands condenmed, awaiting execution. Seeing an opportunity to attract a large audience, the players go through the town collecting information, which they weave into their second performance. As they perform, though, the story grows, as does the audience. 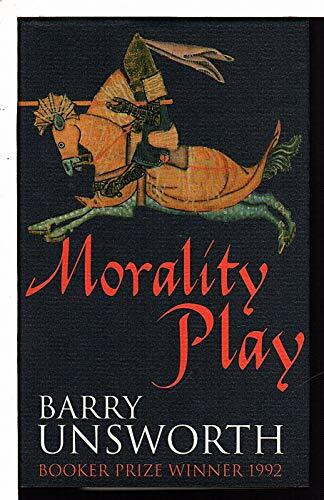 Soon they learn that what makes for good drama is far closer to the dangerous truth than they originally imagined and they attract the concerned attention of the local potentate, the powerful Lord de Guise, who summons them to his castle for a "private performance." 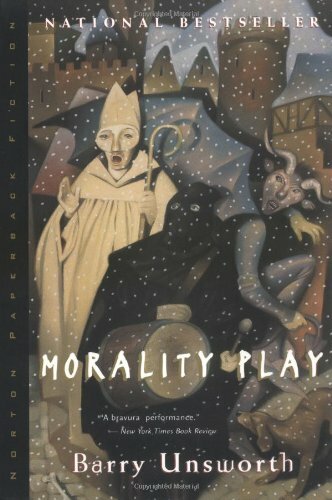 Morality Play is a brilliant novel that holds us in its powerful grip as it deftly portrays how art can, quite literally, reveal truth.